Sophisticated & chic 2 bed/2 full bath impressive condo in fully renovated historic 1922 building. 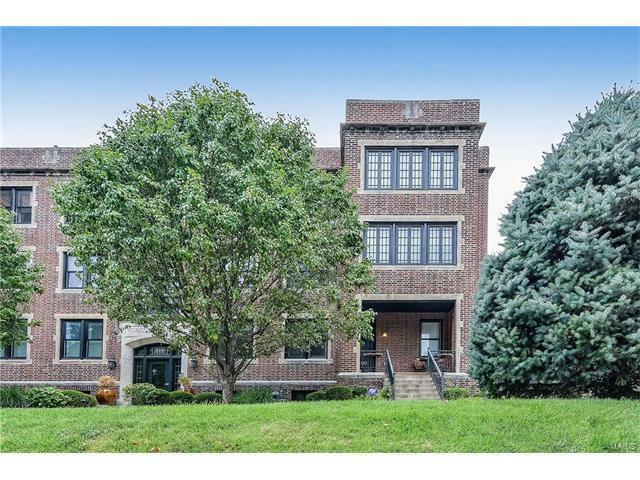 Spectacular CWE location, just 1 block to all the Euclid/Maryland hotspots! Highly desired end-unit boasts beautifully appointed & spacious interior, in-unit laundry, private & secure grade level two car garage, gas fireplace & first class finishes throughout. Updated eat-in kitchen with quality custom cabinets, granite tops, stainless appliances, large island & designer lighting / plumbing fixtures. Impressive master suite accesses private screened porch, walk-in custom closet, luxury bath with dual vanities, heavy glass, Spa shower, & style! Entire unit impresses with beautiful hardwood floors, period appropriate mill/crown/trim work, solid doors, & tasteful colors. Townhouse like private front porch/entry, fenced yard, spacious & private rear deck & screened porch. The amenities between the building, the grounds, the location, & the unit are second to none. Very clean!